Earlier this week I was out working in my vegetable garden. I finished off the season by digging the last of my potatoes. 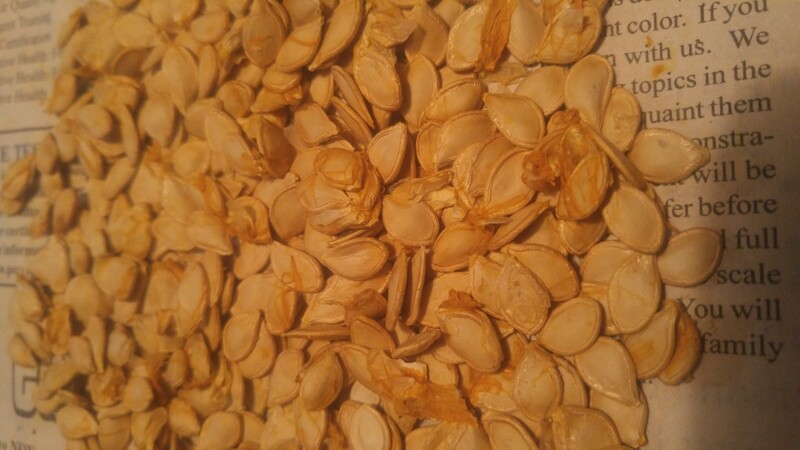 Since we’ve had a cold November, I was somewhat concerned about the shape they might be in. 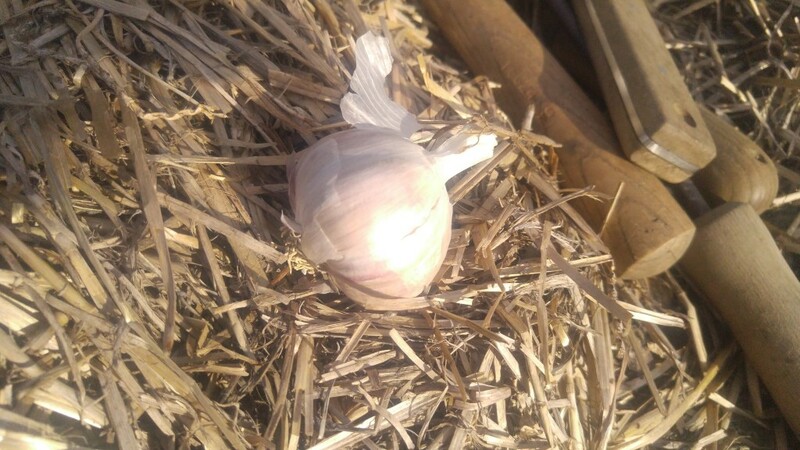 Now, I have occasionally found potatoes in the spring that have gone through an entire winter with no apparent damage so my concerns were not that great. On the other hand, I’ve had potatoes freeze over winter and ended up frost damaged tubers that were completely unusable. I debated whether or not to even bother with them since I had so many other things on my plate with the Holiday season ramping up. 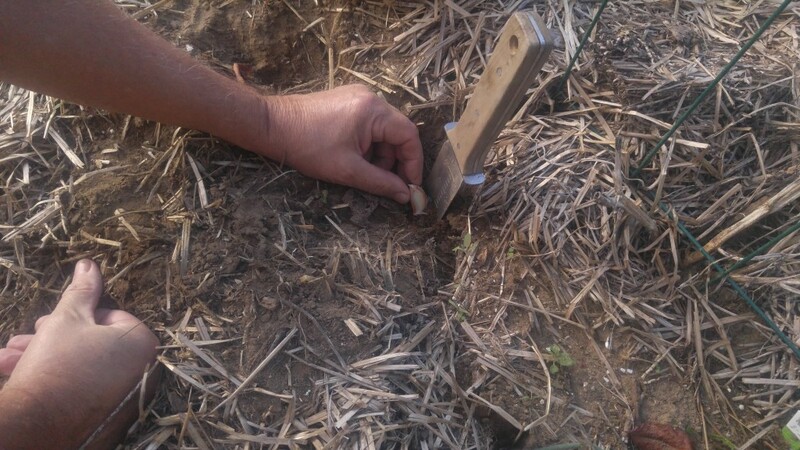 On Sunday the weather was more seasonal so I got out my garden fork and dug into the first row. The potatoes were in perfect shape and the yield looked promising too. This was the patch of “near no-till” potatoes I blogged about this spring. 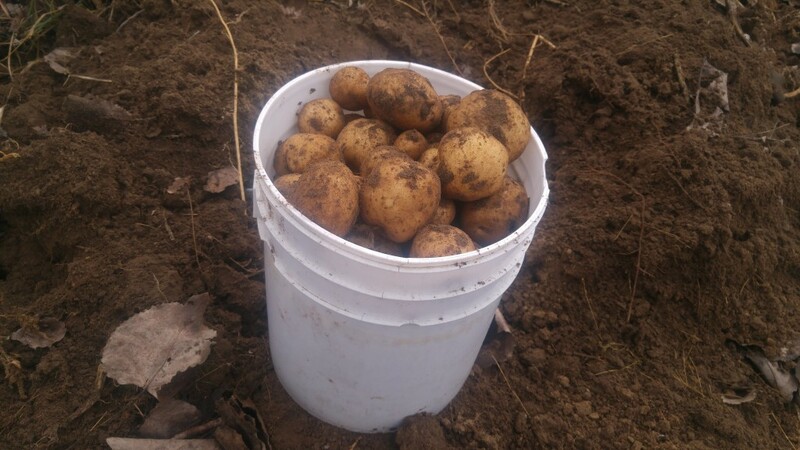 My first bucket of potatoes from this patch. The ground had a covering of tree leaves that I’m sure helped insulate the soil. There must have been enough residual heat stored in the ground to keep the soil around the potatoes from solidly freezing despite the fact we had temperatures down into the teens and frozen soil at the surface. I didn’t check the soil temperature but it was probably in the mid to upper thirties which is close to the ideal storage temperature for potatoes. The yield was halfway decent, maybe a little on the low side, but that was because of nearby trees competing with the potatoes for light and water. Plus, I never irrigated this patch but it did have a layer of dried grass mulch that helped conserve the soil moisture. All in all, I call it a successful experiment. My “no-till plus mulch” combination along with an inadvertent late harvest worked out well. 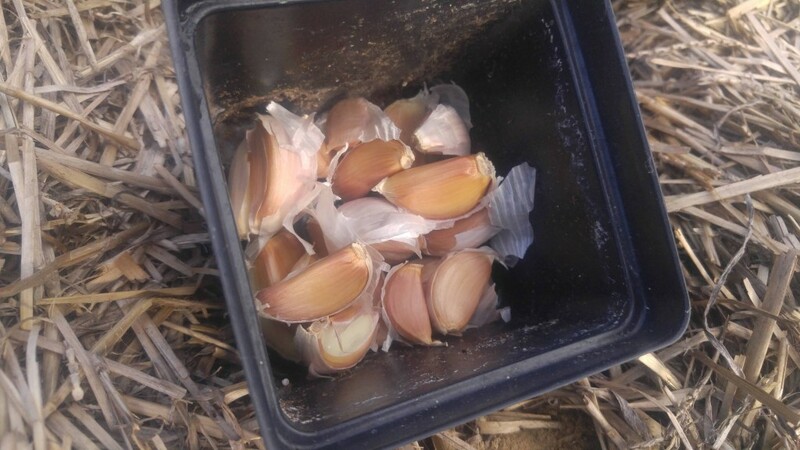 If you are thinking the potatoes you left out in the garden are a lost cause, I suggest you try digging them even though these’s snow on the ground, you may be pleasantly surprised by what you find. It seems like it’s been a tougher season than normal for our tomatoes. First they got a late start because of the cold wet spring. Then we had a blast of heat just when they were blooming, causing the flowers to fall off. Now insects are attacking any tomatoes that have made it this far. In one of my gardens, well over half of my tomatoes have tomato fruit worm damage. This is the same insect that bores into ears of sweet corn and other vegetables. Typical tomato fruit worm damage. On tomatoes the damage shows up as holes or depressions that are clearly caused by something eating them. Tomatoes can look fine one day, then bam! holes in them the next. Often the worms tunnel into the fruit and leave behind frass –worm poo — if nothing is done to stop them. The problem is you can’t find who doing the eating. 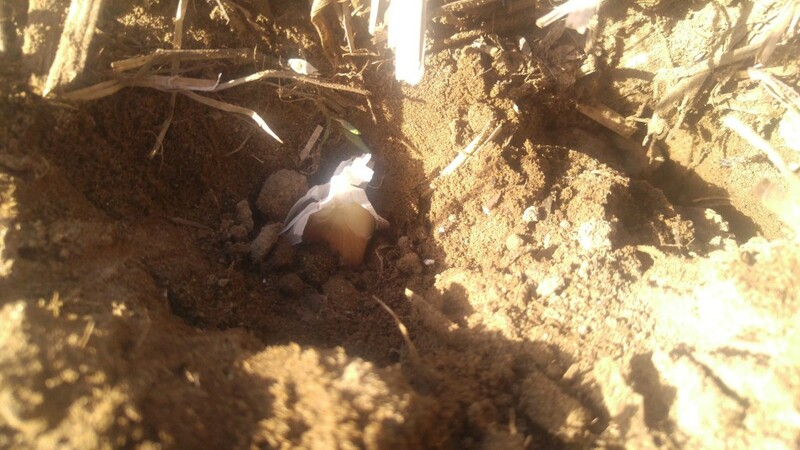 You might suspect bird pecking or mice bites or even tomato horn worm damage. Tomato fruit worms are hard to find. I saw one today on a plant and by the time I retrieved my phone to take a picture for you it was gone, or at least I couldn’t find it again. 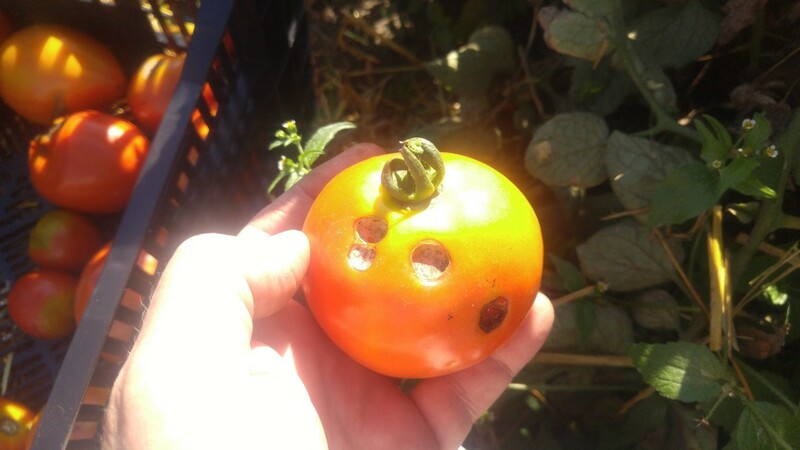 Holes chewed in the tomato fruit are a passageway for fungus to enter potentially causing serious fruit rot. When the holes are new, you can just cut away the damaged portion and still use the rest of the tomato. About the only way you can control these critters once they found your garden is to spray an insecticide. I prefer to use the biological insecticide BT since it will not harm pollinators. Most other garden insecticides work well too. If you are seeing symptoms of tomato fruit worm on your tomatoes, I suggest getting them under control ASAP before they do any more damage. Gardeners on the other know exactly how their produce was grown because they did it themselves. 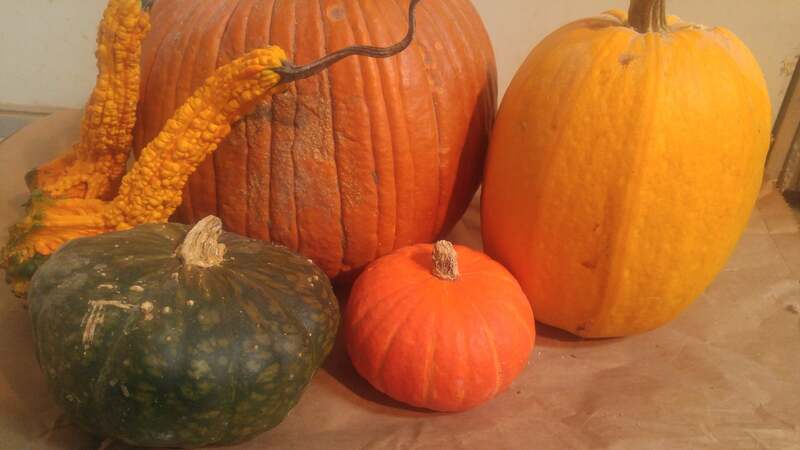 So generally, appearance is less likely to be a factor in judging their produce. For example, some heirloom tomatoes are very prone to cracking or splitting. Selling blemished tomatoes like that would completely out of the question in a produce department and for good reason. Cracks and splits and other kinds of blemishes provide an entry for microorganisms to enter into the fruit. But if a gardener grew it, he would know that some types of tomatoes crack and wouldn’t worry about it. Most likely it would go from the tomato vine directly to the table reducing the chance of spoilage. Carrots are prone to cosmetic damage too. Any number of things can cause a carrot to become misshapen such as a virus disease, insects, nematodes, soil moisture, soil texture, inadequately prepared soil, a pebble in the soil, even a tiny granule of fertilizer or who knows what else. So many carrots are deformed in a typical field that farmers had to develop a new use for them. They invented baby carrots. Those bagged baby carrots are cut and shaped from crooked carrots that otherwise would end up being thrown away. Crooked carrots are harder to peel but are still tasty. A gardener knows most of the time there is nothing wrong with a misshapen carrot, there are some exceptions. 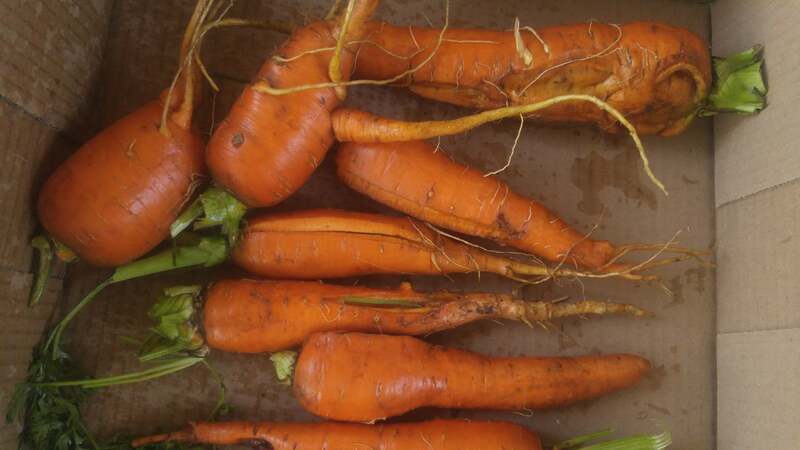 I met a new gardener the other day who was digging carrots and tossed most of his crop into the compost because they were not perfectly carrot shaped. There was no convincing this person otherwise. I eat all kinds of damaged, deformed, blemish and bruised produce from my garden that I would never pay money for at a grocery store or farmer’s market. I trim around the unusable parts like most gardeners do. The trimmings and any produce that is too far gone gets fed to the chickens. The hens in turn use the nutrition from those garden scraps to produce eggs. With their help, my food waste percentage is close to zero.